Limited to only 500 examples, the Lexus LFA was an instant icon, without question the greatest car parent company Toyota ever built. A naturally aspirated 4.8-liter V10 with 552 hp was under its hood, giving it a 0-62 mph time of 3.6 seconds and a top speed of 202 mph. And it looked wonderfully badass, inside and out. It’s hard to believe it came from the same automaker that built those boring Camrys, Corollas, and the Lexus ES. Now that Toyota/Lexus has proven itself capable of building such a splendid supercar, why not do one again? Autocar caught up with Lexus president Yoshihiro Sawa recently and questioned him about a potential LFA successor because, let’s face it, the new LC 500 is not that car. "I really want to do an LFA successor, and it is important to have dreams, but for now it is a very complicated situation," Sawa said. "It’s a very difficult question to answer as I would like to do it, but we have other priorities for now." What could even come close to prioritizing a new LFA? Making money, that’s what. Mainstream automakers rarely, if ever, churn a profit with halo supercars. They’re for image purposes only, which helps to bring even greater publicity. That publicity brings customers to dealerships who wind up purchasing far more affordable models. But any automaker has to devote tens if not hundreds of millions of development dollars for any such project. Knowing in advance they’ll likely lose money doesn’t help things. 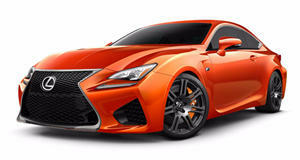 But the LFA did its job, and it paved the way for new performance models like the GS F and RC F. For now, Lexus’ priorities are upcoming models to compete with the likes of the Audi Q3, BMW X1 and Mercedes-Benz GLA. You know, compact luxury crossovers. There’s even a seven-passenger version of the RX on its way to do battle with the Range Rover Sport. Lexus knows there’s more work to do in its quest to become a more serious German brand competitor, and an LFA successor, at least for now, isn’t a part of that plan. Fortunately, there’s still a desire with the guy in charge of Lexus for such a supercar. Let’s hope that passion doesn’t die.